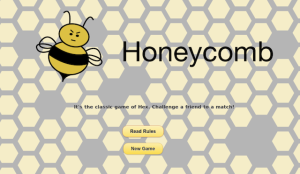 Honeycomb is the classic board Game of hex… with an angry bee. Challenge a friend. This game is tough to master, but worth the dedication. The rules are simple: opposing players try to make a connection between opposing sides of the board. It is just as useful to defend as it is to be on the offensive. This is a modern strategy game, invented in the 20th century by mathematicians. Fruit Machine Gold brings all the fun of a fruit machine to your mobile phone.